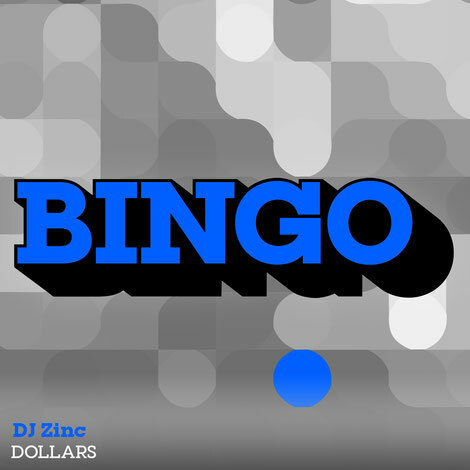 DJ Zinc returns to his own Bingo Bass imprint for future his latest track, ‘Dollars’, complete with bassline and bounce, and it’s already a fixture in the sets of Chris Lorenzo, Holy Goof, DISKORD, Jay Robinson and the whole Bingo crew. 2018 has seen the national ‘DJ Zinc Presents: Bingo Bass’ tour, a takeover of Fabric’s room 2 in May and a series of European summer festival dates including Boomtown Fair, Lovebox, Hideout and MADE. Amongst all this he also relaunched his Bingo label, focussing on new bass house talent and pushing the sound with his own solo and collaborative releases. ‘Dollars’ represents another peak for DJ Zinc’s presence in the ever-evolving UK bass scene, following on from ‘Casino Royale’, ‘138 Trek’ and ‘Wile Out’.